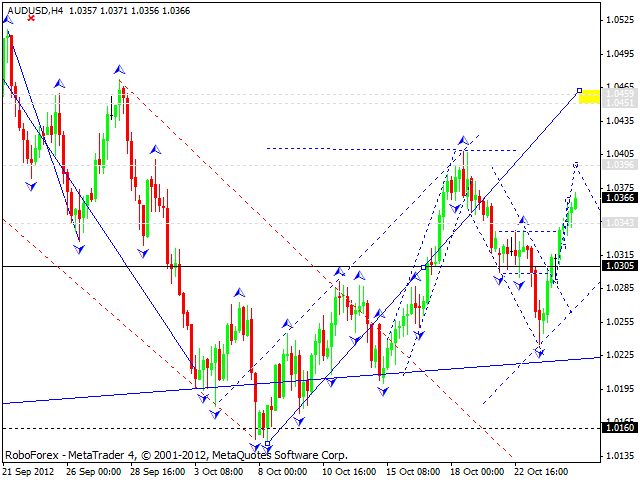 The EUR/USD currency pair started forming another ascending wave. 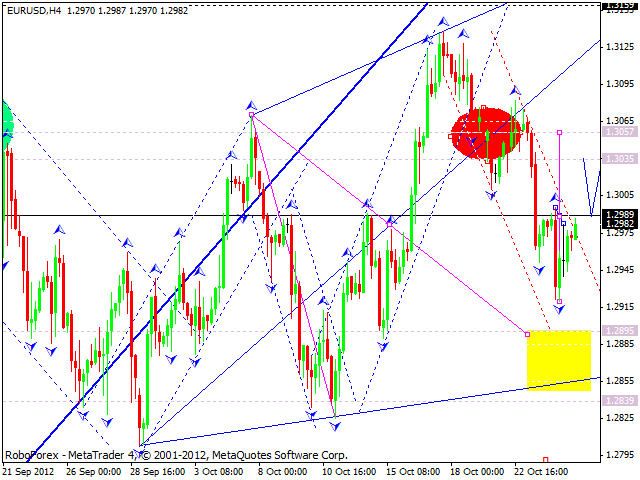 Today the price is expected to grow up and reach the target at 1.3035. Later the pair may move downwards a bit, test the level of 1.2990 from above, and then continue growing up to reach an intermediate target at 1.3055. The GBP/USD currency pair continues moving according to the forecast, the price finished the first ascending wave and corrected it. Today the pair is expected to continue forming the third ascending wave inside this structure and reach a local target at 1.6074. Later the price may return to the level of 1.6015, test it from above, and then continue moving towards the main target at 1.6114. 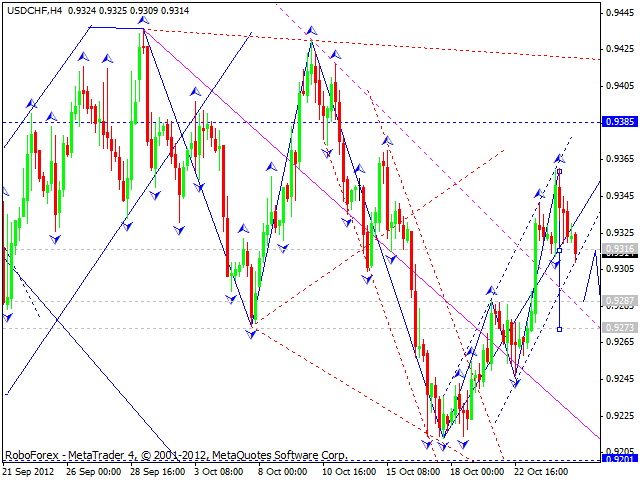 The USD/CHF currency pair started another corrective wave. Today the price is expected to continue moving downwards. One of the possible scenarios implies that the pair may reach the first target at 0.9287, return to the level of 0.9315 and test it from below, and then continue falling down towards the target of this correction at 0.9275. The USD/JPY currency pair has been consolidating inside a narrow 20 pips trading range since yesterday. Today the price is expected to break this range upwards and growing up slowly. The next target is at the level of 80.14. 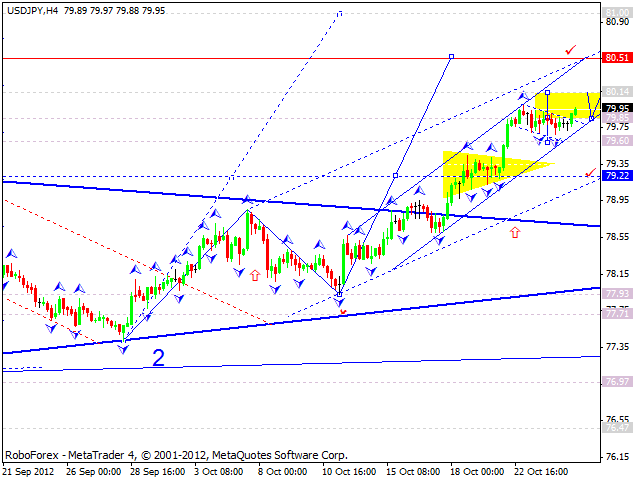 The market has to consolidate at the current levels for a little more and then to reach the target at 80.50. Australian Dollar stopped at the level of 1.0340.Today the pair is expected to continue moving upwards to reach the target at 1.0395. 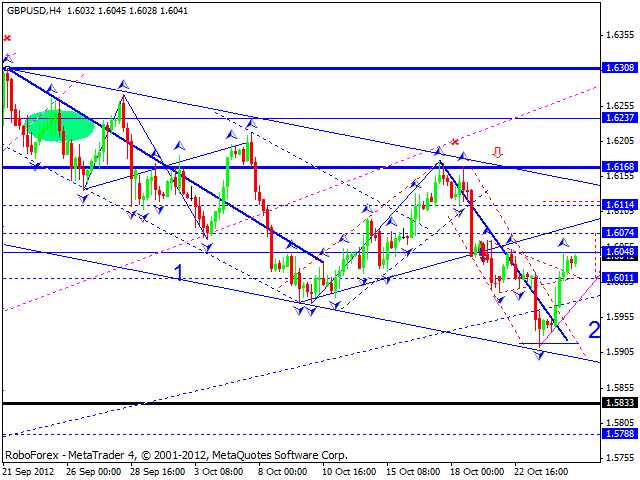 Later the price has to return to the level of 1.0345 and then grow up again to reach the target at 1.0450. This will be a completion of a five-wave ascending structure. After that we can expect a trend change and the start of a descending movement. 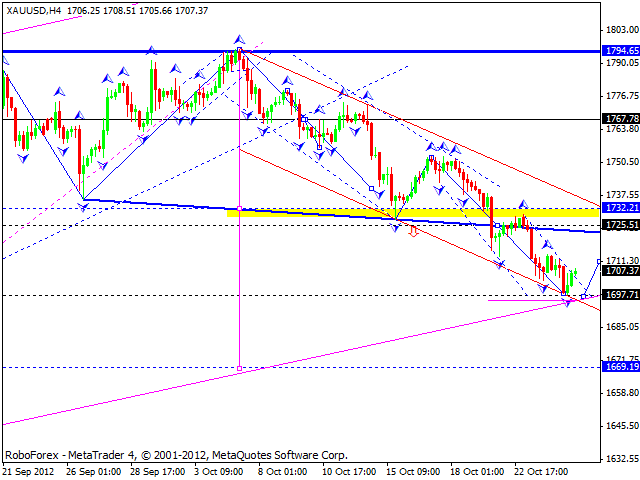 Gold continues falling down inside the channel defined earlier. Today the price is expected to finish falling down and start moving upwards to test the level of 1725 from below. Later the instrument may form another descending wave inside this structure with the target at 1670.